Sir Eduardo Paolozzi RA (7 March 1924 – 22 April 2005) was a Scottish artist and prominent influence on what became the Pop Art movement. 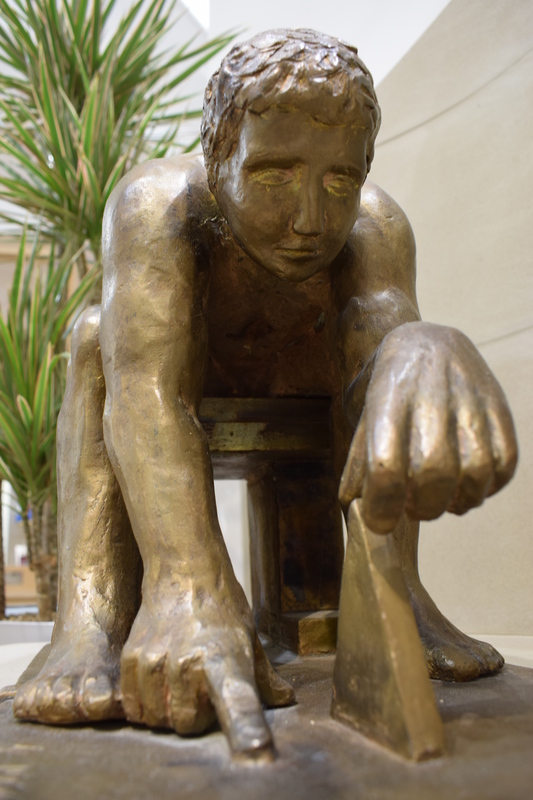 The maquette by Paolozzi is for a sculpture commissioned by British Library at St Pancras, London. The sculpture is based on William Blake's engraving of Newton. Blake was known to hold anti-scientific views and was antagonistic to Newtonian rationalism. Paolozzi was inspired by the tension between the two figures; both representing nature, poetry, art, and architecture. The sculptor suggested that this synthesis of concepts would be ideal for the new British Library. The maquette was a gift to the Institute by the artist.